View – Machine Edition software. 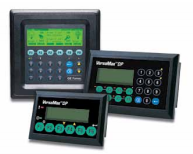 QuickPanel Control products are designed to meet your converging control and visualization application needs with a combination of bright color TFT, or monochrome touch screens, multiple communication options, and Proficy Logic Developer. Used in thousands of applications worldwide in industries as varied as food packaging, chemical processing, and automotive manufacturing, GE Intelligent Platforms DataPanels have an established reputation for delivering high performance at a reasonable cost. Whether it’s an application that has been considered too cost-sensitive for an operator interface product or an advanced manufacturing and industrial system, GE Intelligent Platforms DataPanels are an excellent choice. Many businesses want advanced, high performance industrial PCs that also provide versatility and require limited floor space. Our Intelligence line of industrial computers offers a full range of features for complex application monitoring and control, all within a compact, panel-mount design. 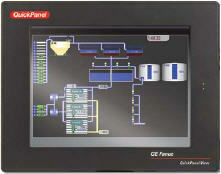 With a broad range of uses, it can function as an operator panel, a machine control platform or local data collector. Available with a wide variety of expansion and peripheral choices along with the option to bundle our best-in-class Proficy software family.